Sedation dentistry has become a very popular choice for individuals that require dental work, especially for those who fear going to the dentist. If you decide to go this route and you visit a sleep dentistry clinic in Melbourne, medication will be used to sedate you so you are able to undergo a dental procedure while feeling relaxed and free from anxiety. While being sedated can offer a variety of helpful advantages, some people are concerned about sedation dentistry side effects. Here is a closer look at sedation dentistry, types of sedation often used and a look at some of the side effects that may potentially be experienced. Before delving into some of the sedation dentistry side effects that may exist, it is important to understand that there are different degrees of sedation that may be used if you decide to be sedated for a dental procedure. First, you have conscious sedation, which keeps you feeling relaxed while you are awake. You probably won’t remember much about the procedure but you will be awake enough to respond to any instructions from the dentist. Second, you have deep sedation. This puts you in a state between being unconscious and conscious. You won’t be able to respond to instructions and breathing assistance may be required. Third, you have unconscious sedation, which may mean you are fully unconscious during the procedure. 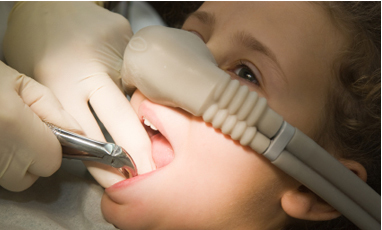 In most cases, patients that undergo sedation dentistry rarely notice any side effects. However, a few sedation dentistry side effects may occur in some individuals. It is important to be aware of those potential side effects so you can let your dentist know if you notice any of them. Some individuals that have been sedated for dental treatments have experienced some nausea while others notice that they have a headache after being sedated. These side effects do not happen to everyone and if they do occur, they usually disappear within a short time. If patients are provided with an oral sedative, one of the common sedation dentistry side effects is dry mouth. This side effect is not dangerous at all, but it can be a bit uncomfortable. Once the effect of the drug wears off, the dry mouth feeling usually goes away. Most people have the side effect of retrograde amnesia when taking oral sedatives, so they may not recall what happened during the procedure. However, this is usually considered to be a benefit for most individuals. Some of the other potential side effects that may occur with oral sedation include dizziness, feeling of grogginess and light-headedness. When IV medications are used at the sleep dentistry Melbourne clinic, this type of sedation may bring about some other potential side effects. IV dental sedation usually results in amnesia, which is a side effect, but it is one that most people desire. Over sedation is a risk to consider as well and it may be a more of a risk to individuals that have other medical issues. In some cases, this type of sedation may cause respiratory depression, although this is rare. While there are some potential sedation dentistry side effects to consider, most of these side effects are fairly rare. In most cases, patients find that the benefits of sedation dentistry far outweigh the potential risks, but it still important to be informed. Contact Us or Call us on 03 9877 2035.